Pre-order He Restores My Soul and save 10%! You’ll find a complete list of authors and topics on the book’s main page along with a link to the cover artist. Stay tuned in the coming months as we reveal the cover art and more details about this unique project! 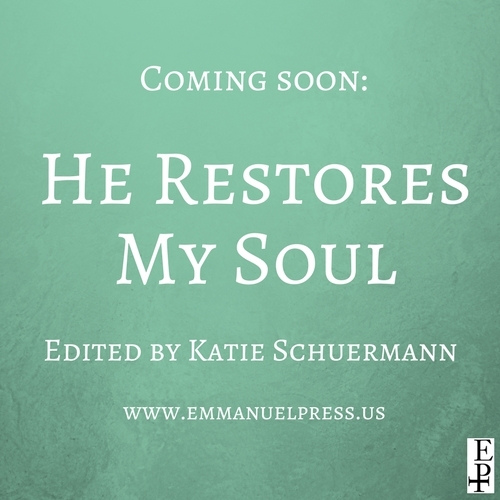 While you’re waiting for the release of this new book, have a look at Katie Schuermann’s He Remembers the Barren, the book that served as inspiration for He Restores My Soul.